Prevents the Lockpicking and Pickpocketing penalties from Stealth Skills Rebalanced to be applied when wearing Bandoliers. This patch switches the "ClothingHands" keyword on Dragten's Bandoliers for "ClothingFeet" Keyword, to allow Stealth Skills Rebalanced to work as intended. Why is this patch necessary? 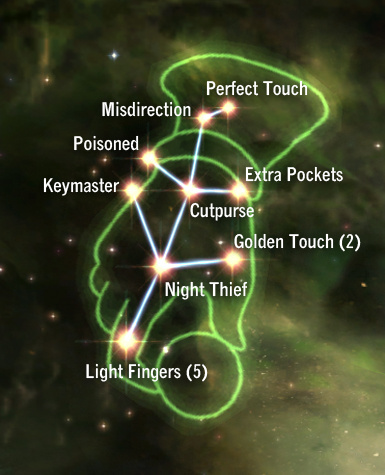 Stealth Skills Rebalanced by kryptopyr introduces a penalty for Lockpicking and Pickpocketing if you are wearing gloves or gauntlets. The mod looks for all the items that have the keyword "ClothingHands" and applies the penalty if you are equipping them. Items that also have the keyword "WAF_FingerlessGauntletsBracers_KRY" (added by the same author) will not have the penalty applied (usually bracers or fingerless gauntlets). 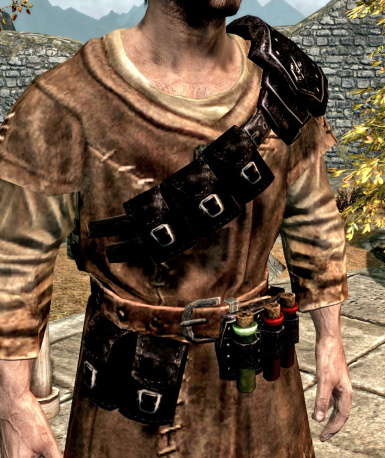 The Bandoliers from the Bandoliers mod by Dragten have the "ClothingHands" keyword for enchanting purposes, but not the "WAF_FingerlessGauntletsBracers_KRY" keyword. So, if you equip a bandolier, SSR will read that as a gauntlet and apply the penalties, even if you are not wearing anything on your hands. Adding the "WAF_FingerlessGauntletsBracers_KRY" keyword to the bandoliers will not work, as it will override anything on your hands (i.e., if you are wearing gauntlets and equip a bandolier with SSR installed, the penalty will be cancelled). Having this patch installed will get rid of all these problems, as Bandoliers will not interfere with SSR. 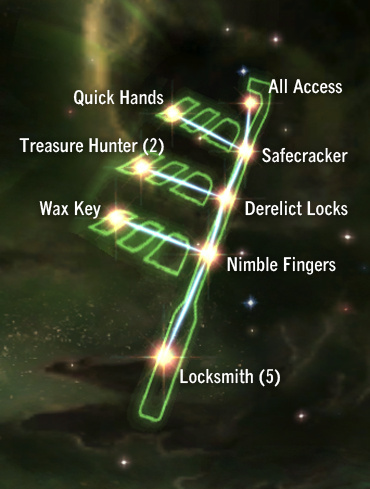 NOTE: this mod is NOT necessary if you are using kryptopyr's Complete Crafting Overhaul Remade. Install it with NMM or extract it to the Data folder. Overwrite when prompted. Load this after Bandoliers and SSR.